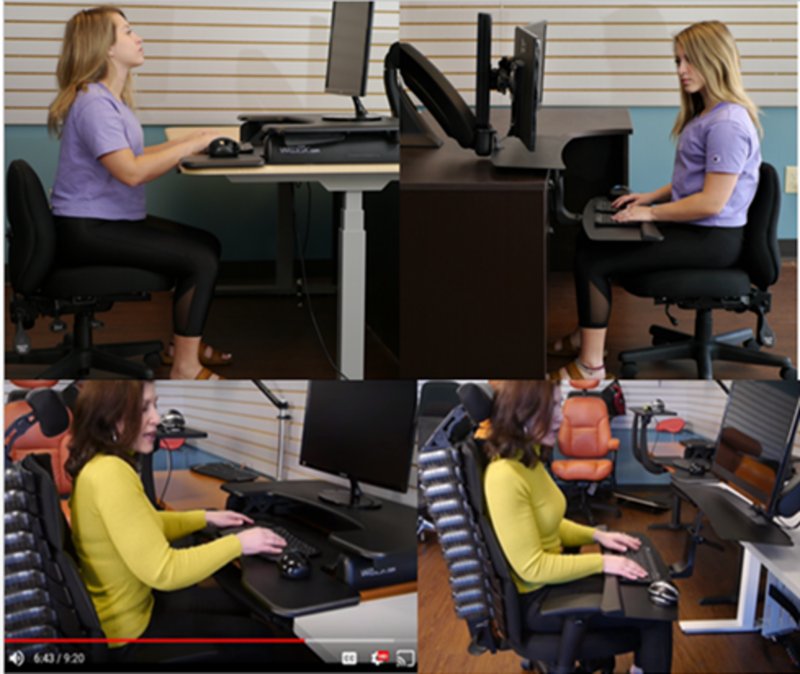 AUSTIN, Texas, Oct. 19, 2018 /PRNewswire/ -- Ergoprise, a full-service ergonomic office service and solutions provider introduces the all-new Comfort Plus Sit Stand Workstation as the perfect answer to any company's sit stand dilemma. Most companies struggle when outfitting their employees with a sit stand option in order to offer them a more comfortable and productive work-environment. The main concern that is not considered is the fact that desk-on-desk risers add an additional 3/4" to 2.5" to the already "too tall" work-surface. Most contract furniture desks have heights from 29" to 30" tall. With the average height of an American women being just under 5'4" tall*, a desk on desk riser will cause more problems and has far greater chances to evoke health risks. The ideal ergonomic typing height for a person 5'4" is 23" off the floor (meaning the height from the floor to the bent elbow in a typing position). To meet this guidance the keyboard needs to be located at least 6" below the work surface. Ergoprise.com has introduced the ideal solution for individuals whose heights are below, average, and above average tall employees. The S2S Comfort Plus allows you to adjust the keyboard tray up to 6.91" below the work-surface for a 5' employee and 51" above the work-surface for a 6'5" employee and everyone in-between. 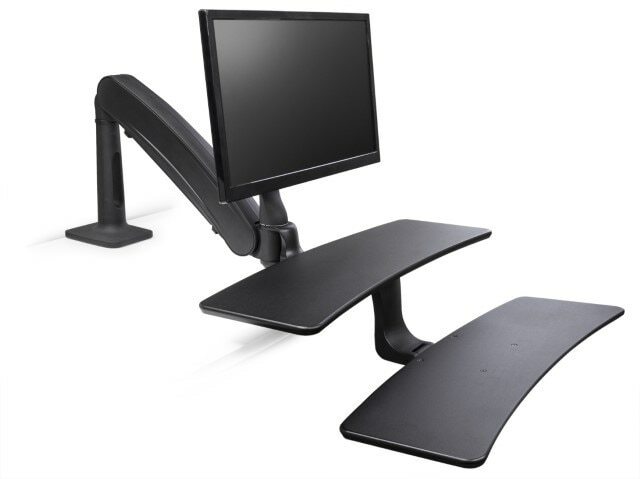 Unlike all desk on desk products, the S2S Comfort Plus (single or dual) will not compromise the vital desktop space. 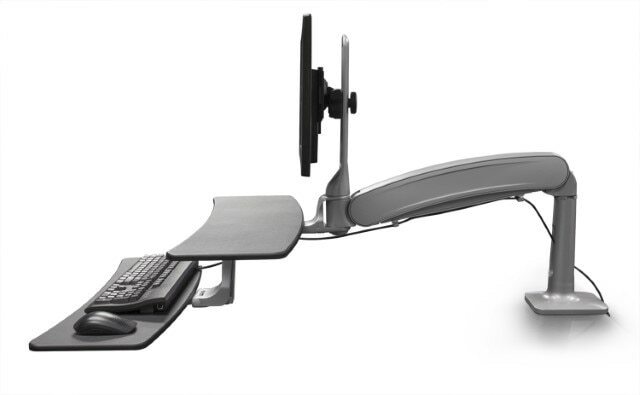 It has the ability for the keyboard tray to flip up and the entire unit can be moved so the user has access to the top of the desk. 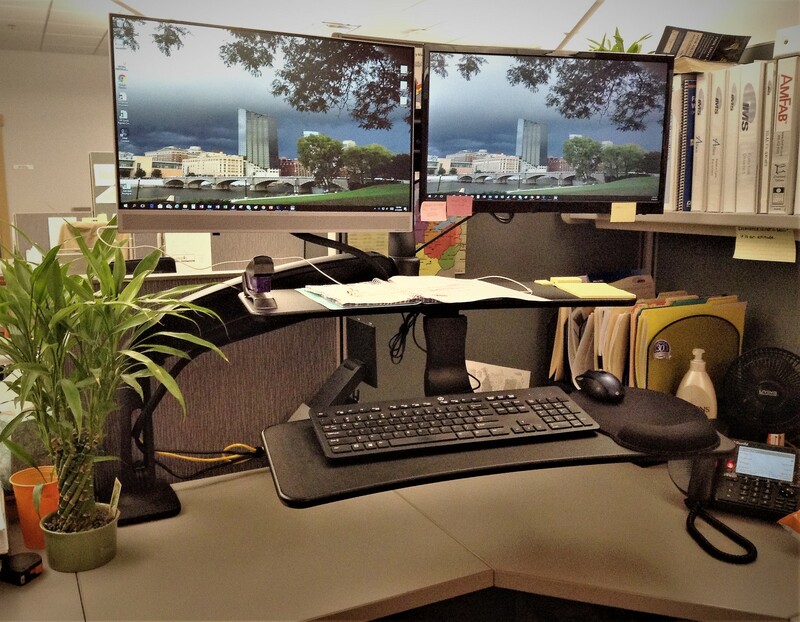 The monitor(s) can still be utilized while the secondary surface & keyboard tray are offset. It's time for women & men to stand up and make sure their desk riser fits them, instead of having to contort their bodies to fit the desk riser. The TAA compliant S2S Comfort Plus is available in single and dual monitor models and available to ship today from Ergoprise.com or on the Synnex.com GSA Schedule. Founded in 2009, Ergoprise is a leader in ergonomic furniture. We take the extra step to make sure office equipment (task chairs, standing desk, desk risers and more) fits the employee, instead of the employee fitting the equipment. *This data is reported by the National Health and Nutrition Examination Survey (NHANES), which was conducted from 2011 to 2014. When using a sit stand desk riser make sure it fits your body ergonomically in both the seated and standing position. S2S Comfort Plus is Ideal in any Office Setting. The Comfort Plus can clamp, go through grommet or small 3/8" hole in most any work desk. Comfort Plus can adjust 6.9" below the work-surface. 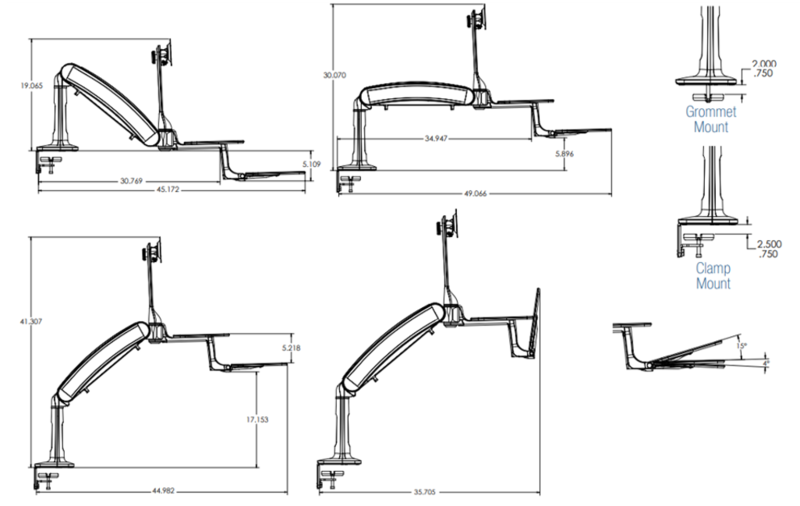 The Comfort Plus meets Government TAA requirements and can be purchased on the GSA Schedule.